Reports across Germany suggest that Thomas Tuchel finally has his man. 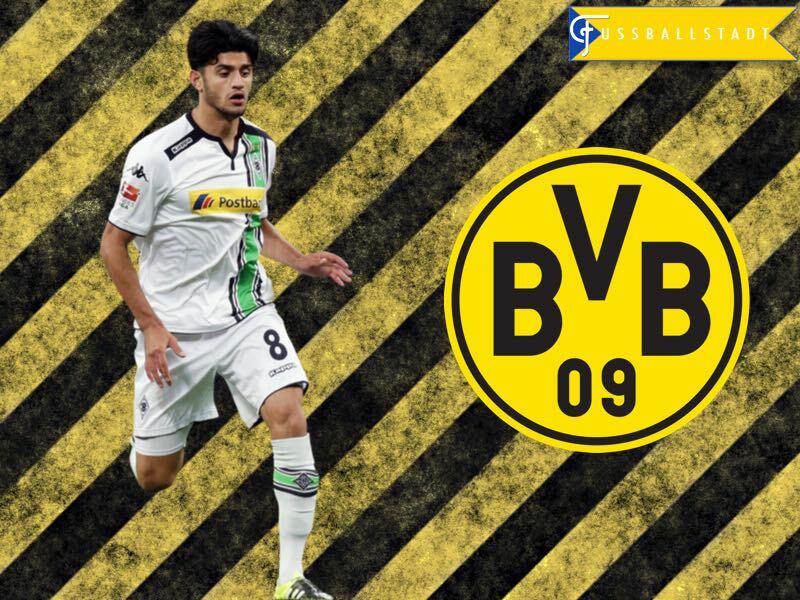 Twelve months later than planned it appears that Mahmoud Dahoud will finally swap the white jersey of Borussia Mönchengladbach for the famous yellow and black jersey of die Schwarzgelben. 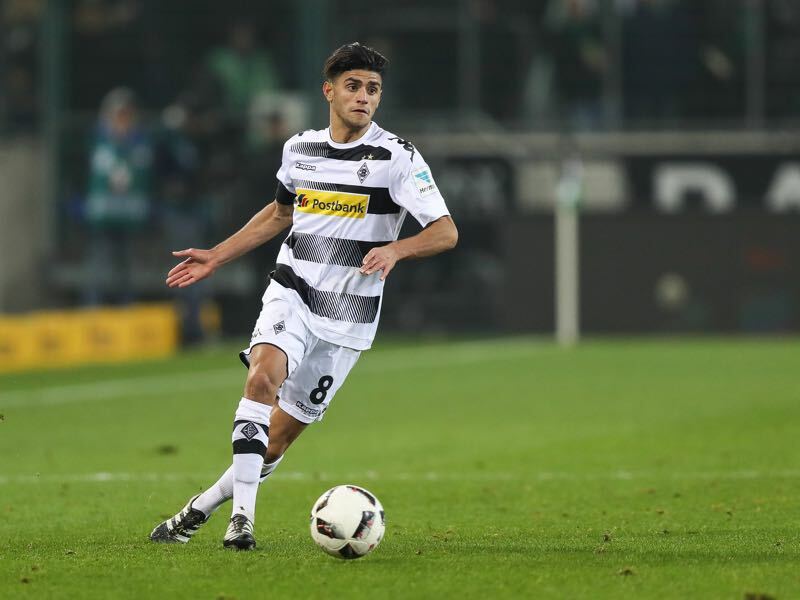 Friday morning saw rumours that Dahoud had turned down a contract extension from Gladbach. Instructing his Düsseldorf based agency, International Soccer Management, to begin negations with Borussia Dortmund. With the fee believed to be in the region of €10 million Dortmund have potentially captured one of the rising stars of both German and international football. Tuchel will be exceptionally pleased as Dahoud was one of three players identified last summer to replace the trio of stars that left suddenly. The departure of Mats Hummels, Ilkay Gündogan and Henrikh Mkhitaryan had led Tuchel to identify Ömer Toprak, Mahmoud Dahoud and Karim Bellarabi as replacements. With the higher management at BVB opting for Ousmane Dembélé, Emre Mor and Raphaël Guerreiro it looked as though Tuchel had missed out. However, only 12 months on and Ömer Toprak has already been confirmed as a summer arrival and now Dahoud seems certain to be the second confirmed arrival destined for Signal Iduna Park come July. The acquisition of the 21-year-old German-Syrian comes just at the right time for BVB. Dahoud will bring the missing link which has seen die Schwarzgelben falter all too often this season. Exceptionally versatile Dahoud can play in any of the three central midfield areas. Equally adept in the defensive centre midfield role as he is in the attacking central midfield role, Dahoud is most at home in the traditional central midfield number eight position. His arrival at the Westfalenstadion could mean the end of the road for Mikel Merino. The Spaniard has found it difficult adapting to life in Germany since his summer move from Osasuna—failing to make the matchday squad for 13 out of this seasons 20 Bundesliga games. Dahoud’s arrival would also free up BVB’s talented young midfield starts to play in their preferred roles. Julian Weigl would be able to concentrate on defensive midfield duties, whilst the addition of Dahoud would allow Ousmane Dembélé and Christian Pulisic to focus on their attacking winger duties. Gladbach will undoubtedly be disappointed they are unable to keep hold of their young star. Dahoud has seen a remarkable turnaround of form since the arrival of Dieter Hecking in December 2016, emerging as a key figure in all three back to back victories since the end of the winterpause—a superb display against Freiburg in early February his standout performance so far under Hecking. However, with Dahoud only under contract until 2018 at Gladbach, sporting director Max Eberl is powerless to veto another move away from the club, like the one enacted last season. The prospect of Dahoud leaving on a free transfer come the summer of 2018 is not one that Eberl is able contemplate. Die Fohlen will not be the only club disappointed to hear that Dahoud looks to be Dortmund bound. Jürgen Klopp had kept a close eye on the central midfielder, earmarking him as a potential key addition to his Liverpool side this summer—Dahoud’s preference to stay in Germany will unquestionably be the reason that news broke in England yesterday that Liverpool had chosen not to pursue their interest in the central midfielder any longer. With RasenBallsport Leipzig also keen on securing the services of Dahoud it may be that Dortmund face a small battle to obtain his signature quickly. However, with Dahoud telling friends close to him that he prefers life in the Nordrhein-Westfalen to that in Saxony, the gazumping of BVB by RB Leipzig looks an unlikely event. Dahoud’s undeniable strength in the midfield area lies in his passing ability. His talent to link transitions of play with a quick precise pass, mixed in with a gift for shooting from distance, should bring the final jigsaw piece back to Dortmund. The departure of Ilkay Gündogan to Manchester City in July 2016 has been a key element in Dortmund’s central midfield woes. With Matchday 21 shortly to get underway in the Bundesliga it would be more likely that any official news surrounding Dahoud’s confirmation by BVB would be delayed until after Saturday’s game at home versus Wolfsburg. After recent events off the pitch at BVB overshadowing news on it—coupled with a disappointing midweek result away in the Champions League at Benfica—confirmation of Dahoud’s arrival in the summer would be welcomed by all associated with Borussia Dortmund.